Angled top part. Face plates angled 10° and 20°. Height: 46 mm. 4 screws, 4 nuts, and 4 lock washers included. 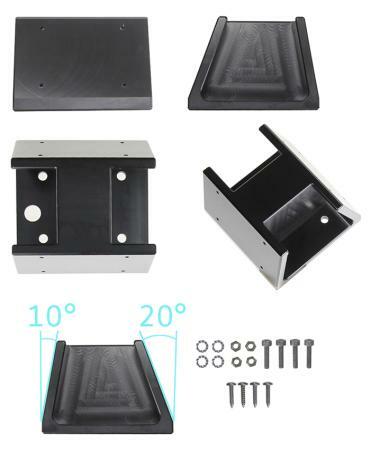 The angled top part is to be used when wanting to attach the holder in an angle of either 10° or 20°, or for mounting two holders, e.g. a rugged PDA and a printer. Dimensions: 64x64x46 mm (length/width/height). 3xAMPS holes and one extra large hole in bottom.